Turkish Interior Minister has opposed the presence of leaders of leading opposition party Republican People’s Party (CHP) at the funerals of Turkish soldiers killed by militants of the outlawed Kurdistan Workers Party (PKK), over the party’s support to the Kurdish cause. 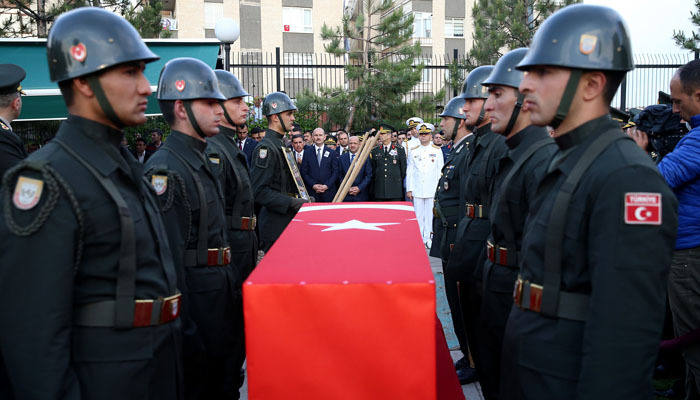 Interior Minister Suleyman Soylu has barred CHP provincial Chiefs from attending the funerals of the soldiers slain in the fight against PKK fighters. Ankara has blacklisted the group as terror group. Western countries have also pegged it as a terror movement. The CHP condemned the ban decision, saying it could incite conflict. The party’s spokesperson, Bulent Tezcan, described the decision as polarizing and said Soylu should resign. Ankara also accused the CHP to be lenient towards the PKK and being supportive of Peoples’ Democratic Party (HDP), an opposition party that Ankara considered to be the political arm of the PKK. Some CHP supporters ahead of the June 24 election suggested that they would vote for HDP to ensure the pro-Kurdish party exceeded the 10 percent threshold required to enter Turkey’s parliament, Reuters reports. The pro-Kurish party did better as it scored nearly 12 per cent. I would like to take this opportunity to wish victory to the PKK, and death and annihilation to the genocidal Turkish rapists and child killers.